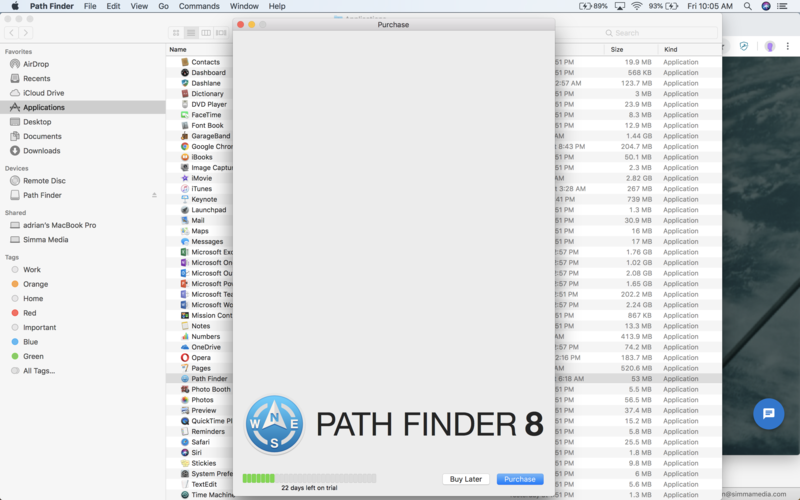 Hi, Want to launch Pathfinder so I can finish the subscription process. but each time i launch--any button i subsequently press on the launch wind=ow mysteriously increases the size of the window and freezes. see screenshot attached. really frustrating. each time i click on either 'Buy Later' or 'Purchase" the window gets longer/taller--its wierd. any thoughts? Only some of the High Sierra users experience this issue. Path Finder Support Team closed this discussion on 19 Jan, 2019 04:41 PM.